Having your teeth pulled can be an intimidating prospect but, with the right dentist, you can experience less discomfort and be on your way to healing in no time. 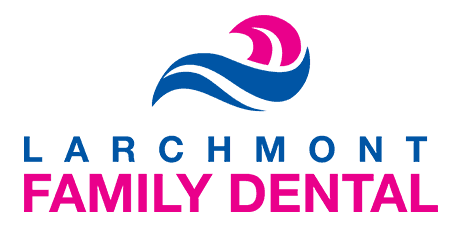 Dr. Avi Malkis at Larchmont Family Dental is a trusted dentist who performs tooth extractions, including wisdom teeth removal, in the Larchmont, New York area. He also offers bone grafting to preserve the sockets after tooth extraction. To learn more, call the office or schedule an appointment online. When do I need to get a tooth extracted? Some teeth have so much decay that Dr. Malkis must extract them, so the infection doesn't spread to other parts of the oral cavity or the head and neck. Many people with advanced periodontal disease have so much gum loss that the tooth sockets become loose, and the tooth needs to be extracted. Some people have extra teeth, or teeth that don’t have opposing teeth to bite against. These are removed to improve positioning. Before getting braces, you may need to get teeth removed to make space so that your teeth are better aligned. Why do I need bone grafting after tooth extraction? After a tooth extraction, the bone under that tooth usually resorbs away. If you’re going to restore your tooth with a dental implant — or an implant-supported crown or bridge — you’re going to need that bone to support the restoration. To preserve the bone, Dr. Malkis performs a bone graft, also known as a socket preservation graft if it is performed at the time of extraction. This is so you can get an implant later on. If you need to get a tooth extracted, don’t wait — call Larchmont Family Dental today, or book an appointment online.